Reichle & De-Massari (R&M) Middle East Turkey and Africa has successfully completed a large scale deployment for Daman, the Middle East region’s specialised health insurer, which involved a comprehensive office cabling solution for the company’s 18 floor headquarters building in Abu Dhabi. With the new implementation, the health insurance specialist now has a state of the art network infrastructure in place which it can leverage to deploy the latest IT applications and services. 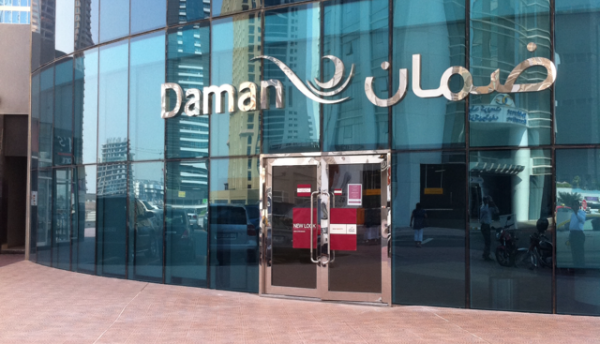 Daman provides health insurance solutions to more than 2.4 million members in the UAE. The company has been the partner of choice for a number of the country’s most prominent organizations and multinational companies in various industries including oil and gas, aerospace, energy, construction, investments and media. Headquartered in Abu Dhabi and established in 2006, Daman offers a range of health insurance plans for both individuals and organisations and exclusively manages the Government’s health programme – Thiqa – for UAE Nationals and Abu Dhabi Basic Plan – for low income expatriates. As Daman rapidly expanded across the region, it found need to move to a new headquarters in Abu Dhabi. Having already utilised R&M’s market leading structured cabling solutions in its offices and branches across the UAE, the insurance provider was solidly convinced of the benefits that R&M’s products offered. “Daman is one of our key customers in the UAE and over 80% of their existing network infrastructure in the country is based on our solutions,” said Mohammed Riyaz, Area Sales Manager for UAE,Qatar,Oman and Iraq at R&M. Daman noted the unmatched ‘Swiss’ quality, reliability and modularity as being decisive benefits offered by R&M’s solutions. “We already shared a very good relationship with R&M and were solidly convinced by the quality of their solutions and the professionalism of their team. So when it came to laying the vital cabling infrastructure for our new headquarters, that would be the vital backbone to all our IT systems, the decision to go with R&M was straightforward,” said Pradeep Ghosh, IT Project Consultant at Daman. 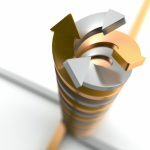 While the insurance provider had utilised R&M’s Cat.6 solution for the cabling in its older offices, it now had increasing demands for bandwidth. This required a solution which could effortlessly deliver 10GbE connectivity. It was decided that R&M’s Cat.6a ISO solution would be utilised instead of the TIA Cat.6a which is often deployed. This was on account of the solution’s compliance with the more stringent ISO/IEC 11801 Class EA link standard which guarantees higher performance, quality and reliability. R&M’s Cat.6a solution has enabled Daman to gain superior performance, outstanding security margin for signal transmission, and wide performance scope for demanding applications. A notable feature is the solution’s ability to support transmission frequencies of up to 650 MHz, which is a large step up over the 500Mhz specified by the Cat.6a standard. Daman also utilised R&M’s OM3 fibre-optic cabling for fibre backbone connectivity which is suitable for the current 10GbE application requirements and will also allow the insurance specialist to migrate seamlessly to 40GbE and even 100GbE. The company spared no expense and utilized a raised floor design in its office layout. Here the modularity of R&M’s cabling solutions proved to be an invaluable asset. “We now have a system that exceeds our current expectations of performance and reliability. At Daman, we will continue to leverage the latest IT solutions to remain at the forefront of the industry. With R&M, we have managed to deploy the robust platform upon which we can now rapidly deploy applications and scale our services with confidence,” Mr. Ghosh said. Daman has ensured that its new cabling investment is completely future-ready. 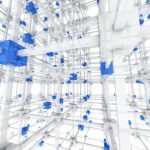 The entire solution has been designed and deployed with the intention of implementing the R&MinteliPhy Automated Infrastructure Management (AIM) solution in the next phase of the project. The solution will enable continuous monitoring of each and every cable connection. This will provide easy and automated management of the cable infrastructure while also delivering an unmatched level of security as unauthorised connections will be immediately detected. During this phase as well, Daman will be able to exploit the future-proofing design benefits that R&M has incorporated into its products. R&MinteliPhy is fully retrofittable and uses R&M’s standard patch panels and patch cords. It also utilizes high-density panels, which will enable Daman to easily migrate from 10GbE to 40/100GbE without distributing the cabinet structure or changing the AIM components. As the implementation was executed by R&M’s certified integration partner, Daman will also be able to avail of the company’s 25 year system guarantee on the implementation.